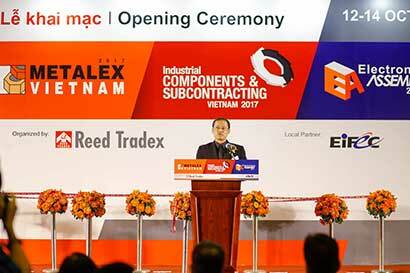 “Metalex Vietnam 2017”, taking place during October 12-14 at Saigon Exhibition and Convention Center (SECC) , delivered the renewed direction of manufacturing to Vietnam market. There are two new showcases, “Universal Robots Chef & Barista” and “Virtual Reality Drone Racing” which were first time organized in Vietnam, and aimed to motivate and spark up the new ideas for Vietnam’s manufacturers. 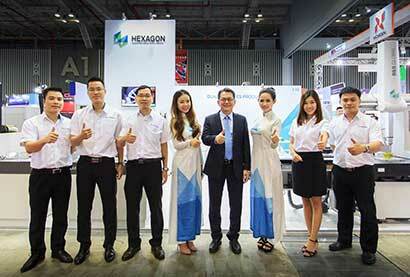 From 12 – 14 October, the powerful combination of three shows, Metalex Vietnam 2017, Vietnam Electronics Assembly 2017 and Industrial Components & Subcontracting Vietnam 2017 as well as the constellations of technology providers representing 500 brands from 25 countries, accompanied by 10 International Pavilions from 7 countries and territories China, Germany, Japan, Korea, Singapore, Taiwan and Thailand, at full steam, introduced advanced metalworking solutions, latest electronics assembly technologies and high quality industrial grade parts. Return as an annual up-to-date playground for the manufacturing industry, this year, "Metalex Vietnam 2017" set up a mission to introduce a new experience for Vietnam’s manufacturers by introducing two new showcases “Universal Robots Chef & Barista” and “The Drone Racing Technology Showcase”. 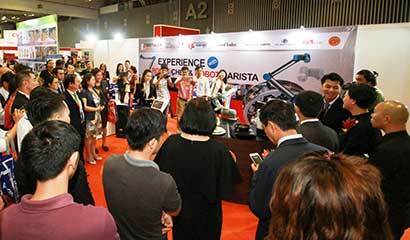 These two experiences are first time organized in Vietnam. The organizer believes that with the drone market expanding, it is not only drone manufacturers that will benefit from the new opportunity, but also companies that produce and supply parts and electronics components. “The Drone Racing Technology Showcase” will display the latest model of drones by Furious FPV, built and assemble with latest component. In addition to the exhibit, visitors can join this zone to learn about components and drone assembly, along with experiencing “Virtual Reality (VR) Drone Racing Competition” and dance performances. In additional, the growing need for precision and quality are driving the need for collaborative robotic arms in the manufacturing industry. Understanding that robotic arms could take the manufacturing and supporting industries to the next level, therefore, Universal Robots will showcase the diverse applications of collaborative robots through cooking omelet and brewing coffee. Another event is “Koma Taisen” competition where all manufacturers from small to medium enterprise are all set to showcase their metalworking skills and design reflected through their customized spin tops which require to be ensured of the diameter at 20mm or less, and overall length is up to 60 mm. The organizer Reed Tradex also keeps running the support activities such as "Business Matchmaking", "Agent Wanted" and "Sourcing Service" to provide networking opportunity for local businesses to interact in a global market place. Along with the return of the technology tour "Shows in show" right at the exhibition, this program will allow local industrialists to discover the latest cutting-edge machinery and metalworking solutions that can take their production efficiency into the next level. 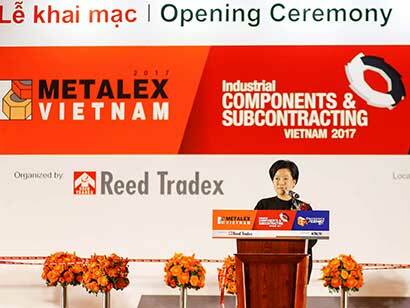 In additional at Metalex Vietnam 2017, the special training class will open for engineers to broaden their knowledge and skills necessary to operate smart technologies integrated with Internet of Things, Big Data, Cloud Computing, Artificial Intelligence and advanced robotics that will transform Vietnam’s entire industrial ecosystem. The “Engineer Master Class” with the honor speaker from Ho Chi Minh City Association of Mechanical Engineering (HAME), is ready to help engineers create value and opportunities for a smart future. A confluence of trends and technologies at Metalex Vietnam 2017 is ready to serve the market's demand in high precision and quality. There will be the full spectrum of machine tools and solutions ranging from machining centers, EDM machine, sheet metalworking, welding technology, metrology from leading brands such as Misumi, Hexagon, Takamaz, Hiwin, Murata, Showa Denki, Keyence, Saeilo and many more. 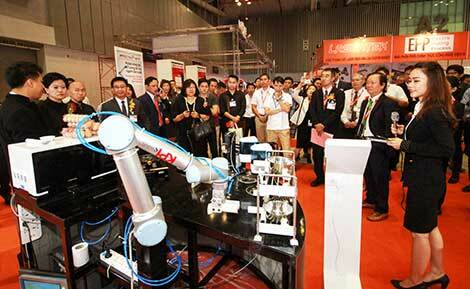 "Metalex Vietnam 2017", which opened from 12 - 14 October, 2017 at Saigon Exhibition and Convention Center (SECC) promised a magnificent experience in technology and solution for all manufacturers around and beyond Vietnam.